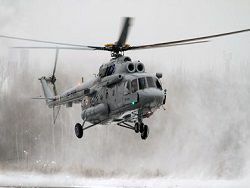 «Helicopters of Russia» showed to command of Airborne troops of Russia perspective helicopter complexes and pilotless aircraft, the holding press service reported on Thursday. 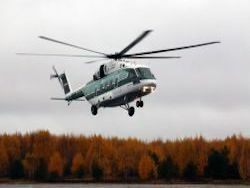 «The holding delivers modern and effective helicopters in armies and already conducts development of perspective helicopter complexes requirement in which test airborne forces, Land forces and other types and a type of military forces», – are quoted on a site of holding of the general director of «Helicopters of Russia» Alexander Mikheyev. 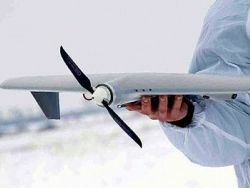 Development of new complexes of pilotless flying devices of helicopter type essentially will increase efficiency of uniform information and prospecting system in the field of fight, Mikheyev noted. Thus he did not specify concrete characteristics. 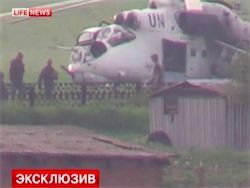 «Modern onboard systems of helicopters allow them to carry out of a task at any time, in difficult meteoconditions, at considerable differences of temperatures, in the mountain and bezoriyentirny district. 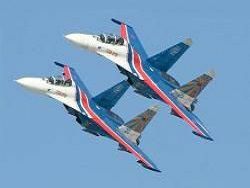 One more advantage is existence of the developed material base adjusted in armies and the prepared flight technicians», – Mikheyev told. 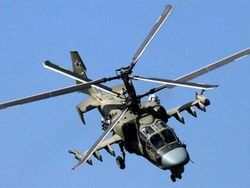 In turn the commander of airborne forces colonel general Vladimir Shamanov noted that construction of Airborne troops demands new helicopter equipment for investigation, transportation, fire support and the solution of other special tasks. Divisions of army aircraft apply military helicopters of the series Mi-8/17 and Mi-26, and in the long term Mi-38. 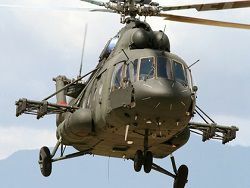 New models of this series – transport Mi-8MTB-5 and transport and shock Mi-8AMTSh, and also developed under requirements of the Ministry of Defence Mi-26T2 are one of the most modern cars meeting all requirements of airborne forces. JSC Vertolety Rossii – UIC Oboronprom subsidiary (Rostekh enters into State corporation), one of world leaders of the vertoletostroitelny branch, the unique developer and the producer of helicopters in Russia. The holding is educated in 2007.